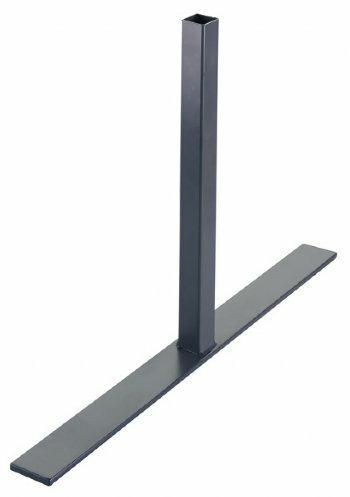 Screen Stability Feet that have a flat base and a square upstand, fabricated from 25mm Square powder coated box section. Designed to securely mount floor standing partition screens, these feet also have a number of other potential uses. Two of the feet were chipped, one particularly badly and will need to be re-painted. The feet fitted the screens okay. Thankyou for your feedback and apologies a couple of these feet turned up chipped. As is common-place these days, these feet are all imported via shipping containers so I'd assume they were maybe on the outside of a box, possibly on a rough crossing which is what's caused the damage in transit. I'd happily swap them for you if you have any issues with getting them painted, just let me know. I've spot checked another 3 or 4 boxes from stock here and I can't find any others with the same issues, so I'm hoping it's just an isolated incident. very good service, good quality goods, fast delivery. Excellent. Q: Please could you give me the dimensions of the feet. Q: Please can you tell me the size of the upright for this product as it is not shown on the dimensions diagram. A: We've just physically measured the length of upstand and can confirm it's 30cm (300mm), so you'd need at that distance inside the screen, for it to sit flush.